Wow, we have been having some wild weather here in Gauteng (Province where we live in South Africa). Over the past week we have had some intense thunder storms with rain like you cannot believe. Just a month ago we saw footage on TV of how the dams are down to around 2% and I'm sure that by now they have to be at least 60% full... From one extreme to the other.... Still, I'm really grateful for the rain!! 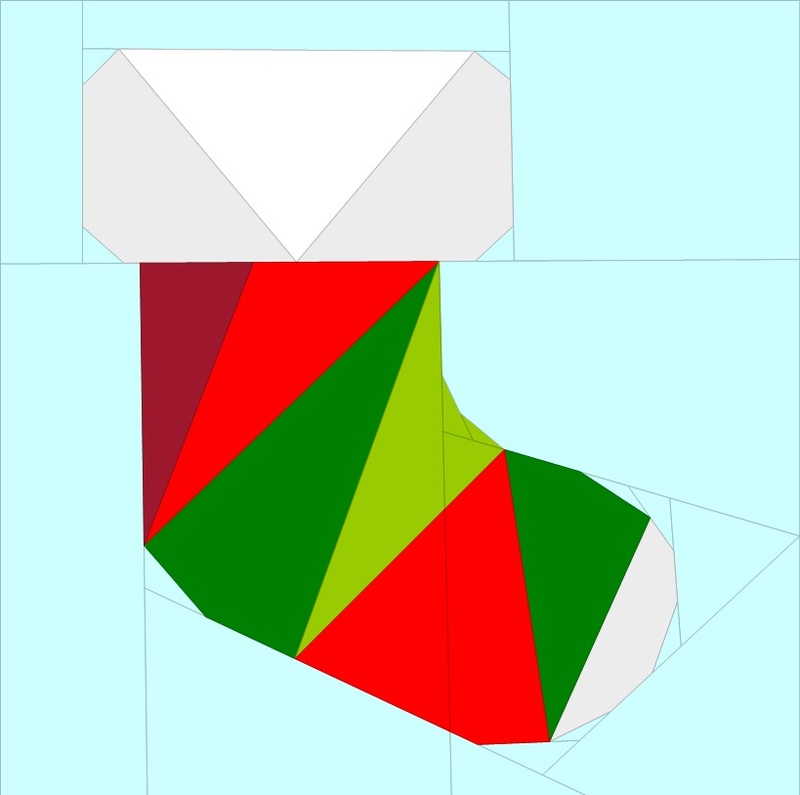 For today's Friday Fun Day I've made you all a Christmas Sock with a geometric feel to it. A lot of us (more than half of the people that voted) are devastated...willing to give the President-Elect a chance, but concerned and guard still. For the rest of the world, PLEASE do not judge all of us by the result of this election. Thank you for another fun pattern. I am ready to start my holiday stitching! I am saddened by the seeming necessity of so many bloggers to comment negatively on the US election. You do realize (don't you?) that you are insulting half of the voters (and many of your readers) in the US with those comments? Please, give the new President-elect a chance, just as we have all given previous presidents-elect a chance . . .
That being said, thank you for your patterns! I am looking forward to sewing some lovely Christmas gifts! I am American and am embarrassed by the less than half who elected him. And to the poster Lynn... she has the right on her blog to make any comment whatsoever. One of my biggest fears is having freedom of speech taken away by a person who does not tolerate any disagreement. The world is affected by our choices, and the world has opinions and if you can't handle that you need to listen more. Janeen, I support you, and thank you for all you give.